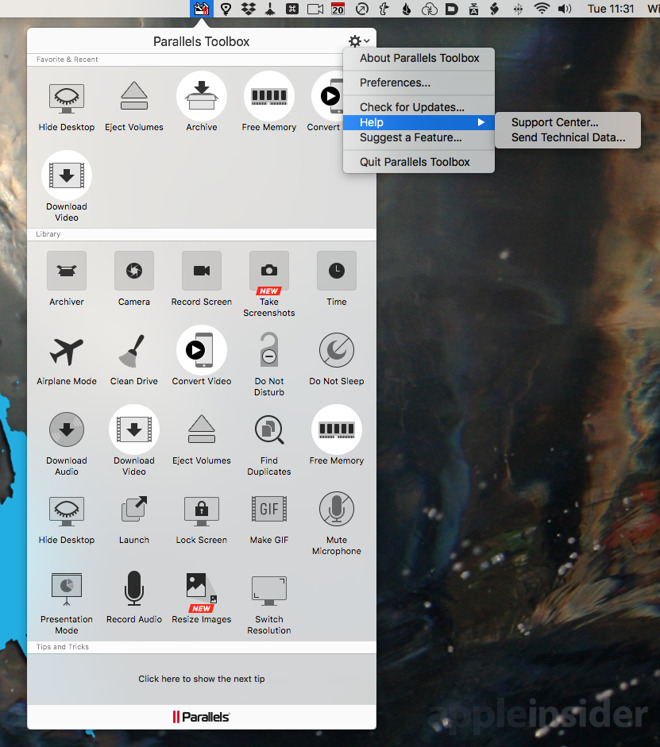 Updated on Tuesday, Parallels Toolbox 2.5 for Mac is a menubar app that gives you access to 35 tools including two that are new for this release and one that's updated. It's not like most menubar apps where you get a list, though, it's more like an application launcher with a large grid of icons that drops down from your Mac's menu. Sometimes it's not just like an application launcher, it is one. When you click some of the tools they work right there in the dropdown but many then launch a separate application. When one of those is running, it appears in your Dock and you could choose to keep it there to save opening the Parallels Toolbox main menubar app. You might well do that, because among the currently 35 tools included there are handy ones like a video converter (that isn't as fast as Handbrake or other alternatives), an image resize, and a tool for creating compressed Zip files. The two new ones are a tool for showing your Mac's free memory and another for resizing images. The updated one is for taking screenshots of your Mac. 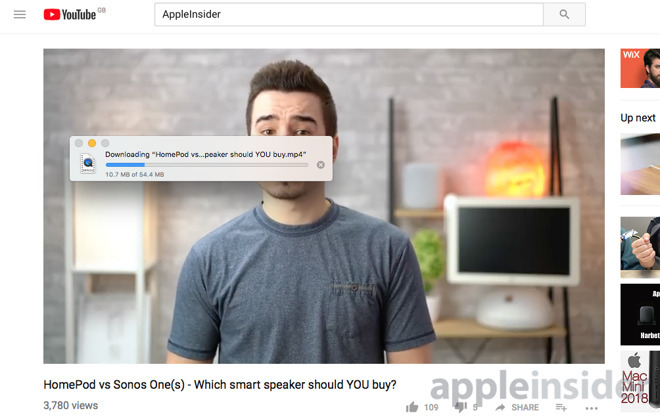 Perhaps the most useful is a tool for downloading videos from the web: it does make saving from YouTube, Vimeo and the like simple. It's not fast but is very straightforward. It's a tool you can well imagine using a lot —but you'll only ever use it one single time within Parallels Toolbox itself. That first time you run it, you're prompted to install a Safari extension so that the tool becomes a button within your browser. After that, the Download Video tool is just taking up space in Parallels Toolbox and this is already a big dropdown with what feels to a Mac user like over-sized icons. Still, within those icons there are middlingly useful tools such as Eject Volumes. The idea of this one is that with a single click you can eject everything: DVDs, SD cards and external volumes. It's not like that would save you a lot of time and it's not as if you often have to go around ejecting each thing connected to your Mac. So it's a fine enough little utility. Except it doesn't always work. That's actually not unreasonable: if your Mac is using something on a drive, macOS won't eject it. However, macOS will tell you that's why. With Parallels Toolbox, all you know is that it wasn't ejected. Then there's the Launch tool. Click on the Parallels Toolbox menu bar app, click on the Launch icon and you get a little app start up with a window. The idea is that you can then drag a file to that window and it will launch the appropriate app. Or rather, when you drag the file over, the window then spins around to show you a list of the thing you've just dragged in. Then you click a Launch button and finally it launches the right application. The Launch tool is one of these applications that run separately in your Dock and when it launched an app for us, Launch itself quit. 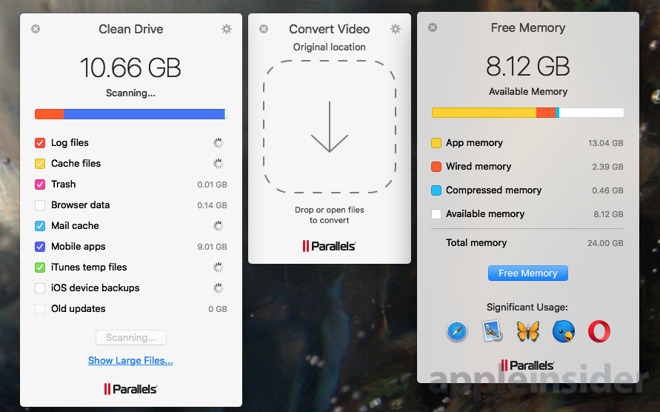 We had a problem then that every time we tried to use Launch from the Parallels Toolbox menubar, it would start, bounce in the Dock and then open the same app with the same file that we first tried. Before quitting again. Even if you could leave this Launch open and drag files to it repeatedly, you'd still be saving yourself time and effort by simply double-clicking the file. Your Mac will launch the right app for you like it always has. Or there's a tool called Presentation Mode. Switch that on and Parallels Toolbox will stop you ever getting popup messages that, yes, we've seen ruin a presentation on a PC, not on a Mac. You may well like PCs more than we do and certainly enough people use them but Windows always feels like it thinks it's doing us a favor by working. Parallels Toolbox is the same, plus it seems like it's adding complexity to tools that are meant to help us, even if we don't need the tool or the help. So for one more instance there are tools in Parallels Toolbox like Hide Desktop. Click this and it hides or shows all of the icons you've littered your desktop with. The idea is that you could do this right before taking a screenshot for someone and they'll never know how messy you are. However, click Hide Desktop and it will do this —or mostly, it doesn't hide drives —yet it will also bleep at you with a notification. It's a bleeping notification that tells you it's done the thing you asked for and which you watched it do. Parallels Toolbox does what it says it does. But, the benefits are few and the steps you go through seem to be many. It is actually slower to use Parallels Toolbox to take a screengrab of your Mac than it is to use the Mac's own built-in keystroke, for example. Of course you do have to know how to do that built-in keystroke, so having something like Parallels Toolbox which makes it a clear icon to click is arguably good. Except then you get issues like that remarkably annoying Hide Desktop notification bleep and you have to know how to switch it off because the documentation ain't going to help you. So it feels like this is a tool aimed at casual users of the Mac, yet most of the tools are executed in such a way that you don't really benefit unless you're a bit more expert at it. The company says that it is regularly adding new tools, though. It also says that if you're running a team of people using this software, you can choose which of those tools they get to see. So, maybe if there's a reason you need your team to use exactly the same tools, or perhaps your staff have different levels of Mac experience, you could find this useful. We here at AppleInsider like Parallels. For some time, it's been the best way to run Windows from within macOS, integrated with the operating system as a whole. 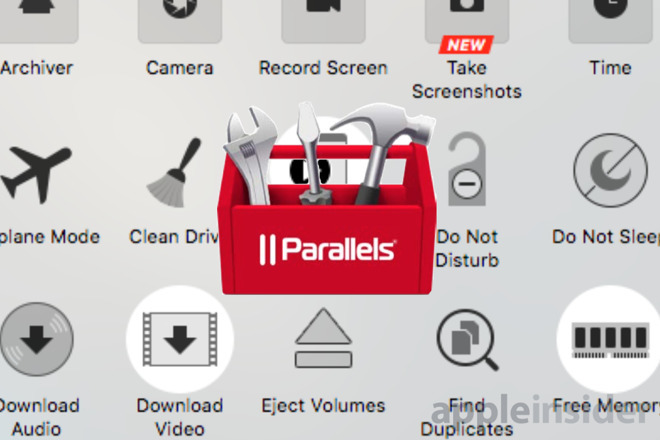 Parallels Toolbox tries the same with a suite of applications and utilities, but mostly falls down on the implementation. If you're still inclined, you can buy it direct from the developer for that $19.99 a year and there is also a free 7-day trial on the same site. The Windows version of Parallels Desktop is a one-time purchase.